“Bestvalentinegifts.ca” is committed to ensuring that your privacy is protected. Should we ask you to provide certain information by which you can be identified when using this website, then you can be assured that it will only be used in accordance with this privacy statement. “Bestvalentinegifts.ca” may change this policy from time to time by updating this page. You should check this page from time to time to ensure that you are happy with any changes. When you use Bestvalentinegifts.ca, you may be asked for personally identifiable information such as your name, address, date of birth, email address, telephone number. You may withdraw your consent at any time by emailing us at admin@bestvalentinegifts.ca. We will return or destroy your personal information within five days of receipt of your withdrawal of consent. Cookies record information about your online preferences. Users have the opportunity to set their computers to accept all cookies, to notify them when a cookie is issued, or not to receive cookies at any time. The last of these, of course, means that certain personalised services cannot then be provided to that user and accordingly you may not be able to take full advantage of all of the features on our site. If you wish to turn off our cookies, please type ‘Cookie’ in the index of the ‘help’ facility in your browser, but please note that turning off cookies may limit your use of our website. We use personal information to allow us to process your service requests, send out newsletters, enable us to improve the products and services we offer. We may occasionally carry out market research and send you details of services and offers that we think may be of interest to you. 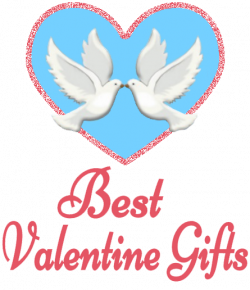 Our Bestvalentinegifts.ca may contain links to enable you to visit other websites of interest easily. However, once you have used these links to leave our site, you should note that we do not have any control over that other website. Therefore, we cannot be responsible for the protection and privacy of any information which you provide whilst visiting such sites and such sites are not governed by this privacy statement. You should exercise caution and look at the privacy statement applicable to the website in question.